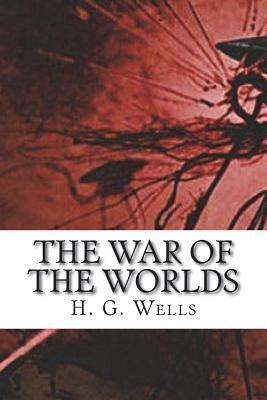 The War of the Worlds by H. G. Wells "No one would have believed in the last years of the nineteenth century that this world was being watched keenly and closely by intelligences greater than man's..." So begins H. G. Wells' classic novel in which Martian lifeforms take over planet Earth. As the Martians emerge, they construct giant killing machines - armed with heatrays - that are impervious to attack. Advancing upon London they destroy everything in their path. Everything, except the few humans they collect in metal traps. Victorian England is a place in which the steam engine is state-of-the-art technology and powered flight is just a dream. Mankind is helpless against the killing machines from Mars, and soon the survivors are left living in a new stone age. Includes the original Warwick Goble illustrations. We are delighted to publish this classic book as part of our extensive Classic Library collection. Many of the books in our collection have been out of print for decades, and therefore have not been accessible to the general public. The aim of our publishing program is to facilitate rapid access to this vast reservoir of literature, and our view is that this is a significant literary work, which deserves to be brought back into print after many decades. The contents of the vast majority of titles in the Classic Library have been scanned from the original works. To ensure a high quality product, each title has been meticulously hand curated by our staff. Our philosophy has been guided by a desire to provide the reader with a book that is as close as possible to ownership of the original work. We hope that you will enjoy this wonderful classic work, and that for you it becomes an enriching experience.